As people all over the world mourn the death of Nelson Mandela, it's a great time to take a look at some of the outstanding books to introduce children and teens to this iconic figure. Kadir Nelson. Nelson Mandela ( Katherine Tegen Books, 2013). Kadir Nelson's moving text and monumental illustrations are a perfect introduction to Mandela for all ages. This spare picture book presents a brief introduction to the outlines of Mandela's life. Nelson Mandela: Long Walk to Freedom, Chris Van Wyk, editor. (Flash Point, 2009). 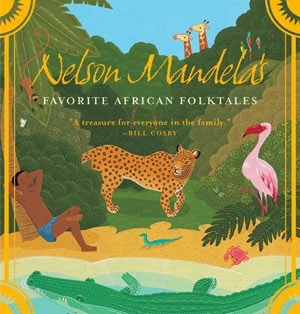 A picture book adaptation of Mandela's own autobiography. More information than Kadir Nelson's book, but still suitable for elementary school children. Floyd Cooper. Mandela: From the Life of the South African Statesman (Puffin, 2000). Beautifully illustrated picture book for upper elementary school students. Meg Belviso, Pamela Pollack. 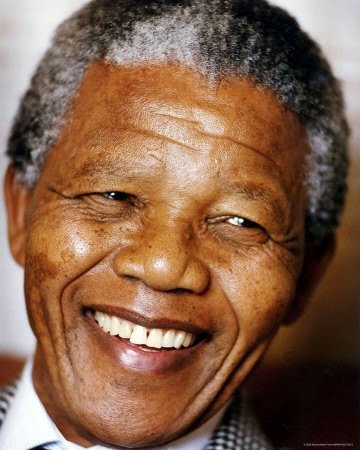 Who Was Nelson Mandela? (Grosset & Dunlap, 2014) A new addition to the highly popular Who Was series, this comes out next June (undoubtedly it will be quickly updated with his passing). This series of brief "chapter book" biographies is great for 3rd grade and up. Yona Zelda McDonough. Peaceful Protest: The Life of Nelson Mandela (Walker Children's, 2006). Reviews call this picture book biography "easy to read but engaging." Barry Denenberg. Nelson Mandela: No Easy Walk to Freedom (Scholastic, 2014). An updated version of an earlier biography of Mandela, this will go up to his recent passing. 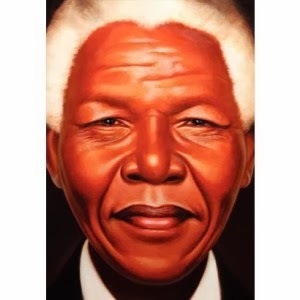 Aimed at grades 5-8, this is an in-depth view of Mandela's life for young people. 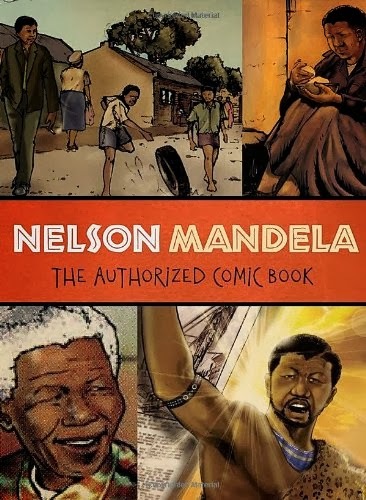 In addition to these, there are several graphic novels on Mandela, including: Nelson Mandela: The Authorized Comic Book (2009) from the Nelson Mandela Foundation; Nelson Mandela: The Unconquerable Soul, by Lewis Helfand, and manga-style Nelson Mandela (Great Figures in History series) from Y-Kids. Mandela: An Illustrated Autobiography (Little Brown, 1996), an abundantly illustrated, abridged version (at a very manageable 200 pages) of Mandela's famous autobiography Long Walk to Freedom. On a lighter note, families will enjoy sharing Nelson Mandela's Favorite African Folktales, personally selected by Mandela. The stories come from all over Africa and are handsomely illustrated by a variety of artists. I was fortunate enough to visit the beautiful country of South Africa two years ago and join all Mandela's countrymen in remembering and celebrating a great human being. Rest in peace, Madiba. Are you a a fan of Patrick Ness' fantastic Chaos Walking YA trilogy, or his more recent children's novel, A Monster Calls? 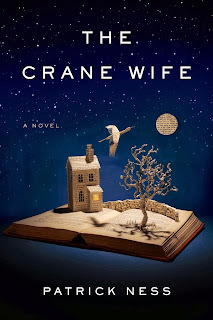 I am, and therefore was excited to have a chance to preview his new adult novel, The Crane Wife (published in Great Britain in 2013, but due to be published here in 2014). The novel is loosely based on a Japanese folk tale of the same title, (and is also a title of an album by indie band The Decembrists) but Ness' novel weaves its own unforgettable and unique spell of magic, yearning, love, and loss on the reader. The main character, George Duncan, is a lonely, divorced middle-aged American living in the London suburbs. He finds his life transformed when he is awoken one night to a mysterious keening noise--a noise like nothing he's ever heard before. To his amazement he discovers in his back yard an injured enormous white crane, with an arrow shot through her wing. Somehow George manages to free the arrow, and the crane flies away into the night. The next day in his printing store, the mystery continues when a beautiful young foreign woman, Kumiko, comes into his shop, seeking help with her artwork, enigmatic cuttings that seem to be made from pieces of white feathers. George falls hopelessly in love with her, and wants nothing more than to devote his entire self to her, but she remains an enigma, refusing to share with George the details about where she comes from and why she has come into his life. Will she disappear from his life just as suddenly as she entered it? In order not to spoil the magic of this story, I won't go further into the details of the plot. Suffice it to say that the book mixes fantasy and reality in a bittersweet way. Where the two intersect is up to you--what is real and what is make believe? What is love? Read this magical novel to find out more!